Thanks to PHP, on January 1st of this year my website was showing the proper copyright year on the bottom of my site. Is yours up to date? 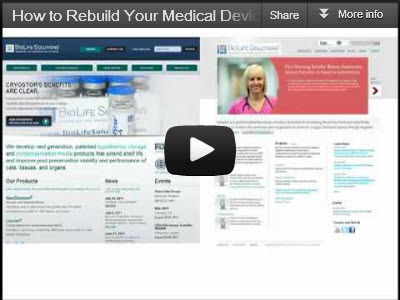 Short video is one of the best ways to boost your medical device marketing. If you’re intimidated, read these four cues to overcome your fear. Teleflex produced an entertaining medical device clinical video that demonstrates the efficacy of their Vascular Positioning System. If they can make vascular positioning entertaining, imagine what you can do with a little creativity. Help your sales reps win website traffic by setting up a page for each of them. It works in real estate and may boost your medical device sales. Google introduced a new snippet feature and winning it is a coveted position because of the instant credibility it lends to your site. This is a brilliant little bit of free marketing that medical device marketers can adapt. Follow Lyndsie’s example provided here. A urologist spent $300,000 of his own money and borrowed $700,000 more for his new urological device. Clinicians said they loved the concept – but still no sales. Why?